Foreign direct investment (FDI) in Russia decreased by US $4245 million in the third quarter of 2018. FDI in Russia averaged US$5,885.18 million from 1994 until 2018, reaching an all time high of US$40,140 million in the first quarter of 2013 and a record low of US$-4,245 million in the third quarter of 2018. That doesn’t look too clever. However, what is interesting is that most of the Net Inward FDI in Russia came from just ten jurisdictions and countries: the Bahamas, Bermuda, British Virgin Islands, Jersey, France, China, Germany, Ireland, Korea, and the UK. That’s an unusual mix – and with four of those being offshore financial centers suggests the Russian economy is being invested in by funds held in safe havens, and out of reach of US sanctions imposition. Of the others, France, Germany, and Ireland are EU nations with traditionally large investments into Russia, and the UK, which is also a traditional large Russian investor, but is wanting to rekindle its trade relationships in the event of Brexit. In the case of the UK, British pragmatism appears to be winning out over politics. The newer, long-term trend, however, is marked by China and Korea, whose presence in Russia in the aftermath of EU sanctions has seen public transport switch from Volvo and Scania to Dai Woo and King Long. Wanna kick your domestic truck industry in the head? Impose sanctions on Moscow. The resulting loss of FDI into Russia has certainly had an effect. But there are positives to be taken from this too. In many cases, it has simply re-established a national pride among a people who have suffered greatly over the past one hundred years. With that memory seared into the Russian consciousness, the mentality towards sanctions is to just go it alone. A positive aspect of that is the emergence of a new Russian outbound investment program of its own; an engagement with Asia and other emerging markets. 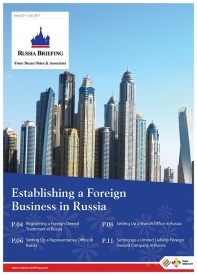 There are several ways in which we can look at Russia now as a potential market for FDI. The Ruble has tanked the past couple of years, meaning imported goods are expensive. However, domestically made products are relatively inexpensive, and Russian production costs competitive, in many cases similar to those in Southeast Asia. 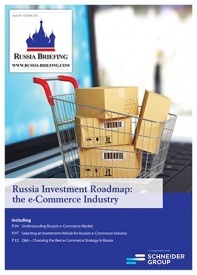 The Russian market also has pent up demand – money is there but needs to find an outlet. With a consumer base of 147 million, with most having a disposable income three times higher than that of the Chinese, the country is also showing signs of growth – at a rate expected to be higher than that of the EU. While the country is huge, its two main wealth areas remain Moscow and St. Petersburg and are easily accessible from Europe. That means a concentrated effort on just one or two cities can bring rewards, or at the very least provide a platform from which other domestic markets in Russia can then be targeted. With an absence of competition, there is a lot of Russian demand to inherit. 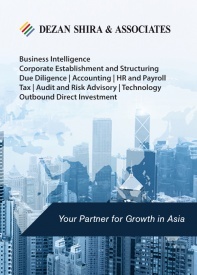 That can be fast tracked by forming a Russian Wholly Owned Enterprise or Joint Venture. Russia is a founding member of the Eurasian Economic Union (EAEU) a vast Free Trade Area that essentially sits between China and the European Union with a GDP of US$5 Trillion. Think about that, and the transshipment as well as trade potential that offers. EAEU trade grew by 38 percent last year, and Moscow has provided incentives for Russian based companies to grow and develop, so basing a foreign owned company in Russia essentially qualifies it to take advantage of Moscow backed policies. Figures? Russian exports are expected to reach US$250 billion by 2024. Aside from the EAEU, Russian trade with Asia is also experiencing strong growth, meaning there are opportunities to partner with Russian businesses who may need to acquire the know-how to get into Asia. Trade with China hit US$100 billion in 2018, with that set to double in the next five years. There are inroads being made in Southeast Asia too: Vietnam has a Free Trade Agreement with the EAEU and Russian companies have been setting up production facilities in Indonesia and exploring investments in other ASEAN nations, and India. Delhi has recently proposed establishing Free Trade Zones especially for Russian businesses. There are similar adventures being held elsewhere, as Russia looks to non-traditional markets to break into. The development of a Free Trade Zone in Egypts’ Port Said being a typical case in point. In a nutshell, Russia is now looking at breaking into Asia, as well as non-traditional emerging markets, and its companies are being incentivized to do so. Russia has a relatively low tax regime with Corporate Income Tax based at a high of 20%. This can be reduced further through the use of Withholding Taxes in certain cases. Profits tax applies upon repatriation; however, there have been calls for this to be scrapped, and there are a plethora of incentives, differing from industry to industry and region. 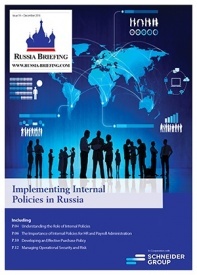 Individual Income Tax for foreigners in Russia is generally calculated at 13 percent. Russia has a number of Double Tax Treaties in place that can also reduce the tax burden if used correctly. Using Russia as a foreign investment base to break into the domestic market makes a lot of sense. Yet, what is not often added to that is the current sense of outward expansion from Russia overseas that is currently taking place. This has the huge additional potential of assisting foreign investors in Russia break into the markets of the Eurasian Economic Union, as well as Asia. Western media doesn’t recognize the story, and many are put off by the incessant talk of sanctions. Once foreign investors can look beyond the media and political rhetoric, the opportunities, desire, and incentives are there. There is also precedent. 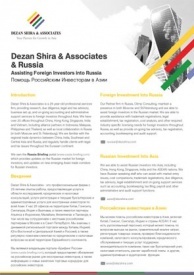 I set up my foreign investment, tax, and law firm Dezan Shira & Associates in China in 1992, three years after the Tiananmen Square incident, and at a time when China was essentially regarded as a pariah state. What happened since then is well documented. Russia is about to follow a different, but not dissimilar path, and it is time to re-assess the opportunities.